Back in the day, a good backyard was a luxury. A place for the kids to play in, do some gardening, and barbecues with neighbors. Today, a good backyard is a necessity, particularly if you’re putting your house on the market. The impression your backyard evokes affects potential buyers and house guests. But yard improvement has its challenges. Big landscaping projects are pricier to install. And the high maintenance costs can deter buyers. 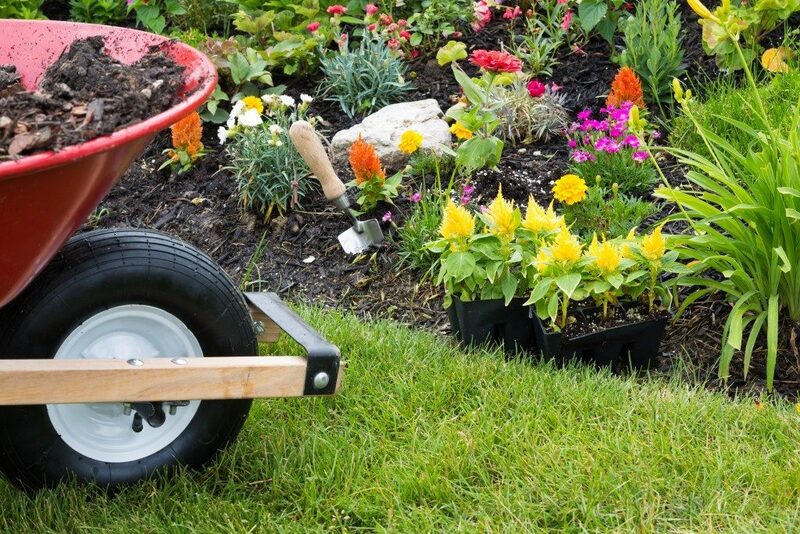 Making your yard attractive and easy to maintain requires hardscaping and gardening materials. Many companies offer palletized hardscaping materials delivery in Utah, and you can buy plants in any garden center. But you need the right combination to make your yard cost-efficient while making it pleasing to spend time in. Consider the following advice on hardscaping and gardening to make the most of your little slice of Utah. Maximizing the use of hardscaping to keep your maintenance costs below average. Brick or flagstone patios are ideal for your yard, as they do not need constant watering or weeding like lawns. This advantage works better in a desert environment like Utah. 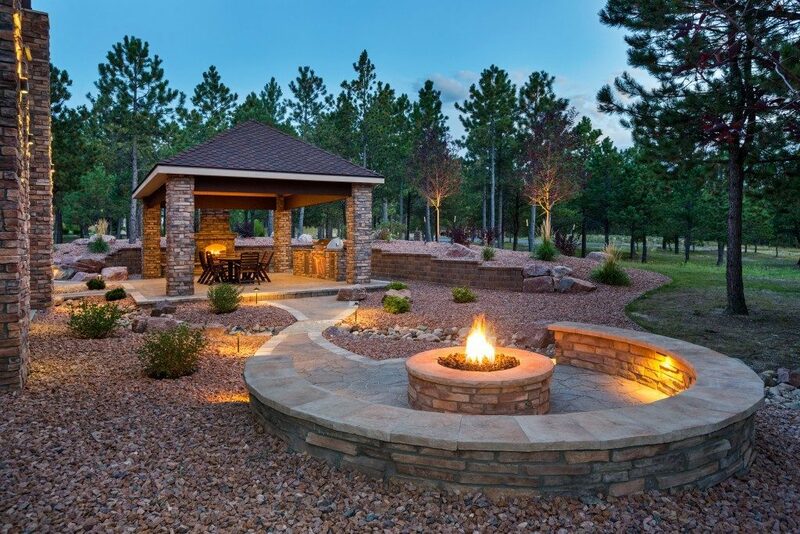 You can improve your patio by putting in a fire pit, perfect for warming up chilly nights. A built-in barbecue pit is also a perfect addition if you are the social type, and it will also lower your gas bill. If a patio is too big for your yard or too hard to install, why not put in a gravel path? A gravel path can take one day to install, and its materials are affordable. When completed, they need little maintenance, but they still add a rustic feel to any yard. Now that you have a few cost-efficient hardscaping ideas, what about adding some greenery? Greenery is still key to making a yard lively and welcoming. But maintaining extensive greenery requires a lot of water and a lot of time. So what plants should you put in your yard? The following water-thrifty plants will provide pleasing foliage, while needing fewer waterings. Goldenrod has gotten a bad reputation for allegedly causing allergies. But experts say that the real culprit is ragweed, which release pollen during late summer and fall. Goldenrods get their name from their bright yellow blooms, which can give your backyard a festive highlight. These plants are also tough, and can grow on soil where other species cannot. Yarrow can give a variety of colors when they bloom. Their blooms can range from white, the most common, to pastel yellows, magentas and orange-reds. Yarrow is also heat resistant, and capable of blooming even during dry summers. Lavender flowers are known for their soothing scent and striking color. The plants can grow 1 to 5 feet in height, lavenders can make good borders for your gravel path or at the edge of your yard. Lavender oil also has many beneficial qualities, from inducing sleep to reducing acne scars, giving you an extra incentive to plant it in your yard. An important reminder: these plants, as well as other water-thrifty plants, still require watering. But they do require less of it than other varieties, and last longer without water. Do not let your plants wilt before watering them. With proper hardscaping and gardening, any backyard can be beautiful . You don’t need to spend a lot to get a lot, and low-maintenance does not mean low class. Follow the tips you’ve just read and make your backyard the cost-efficient envy of your neighborhood.